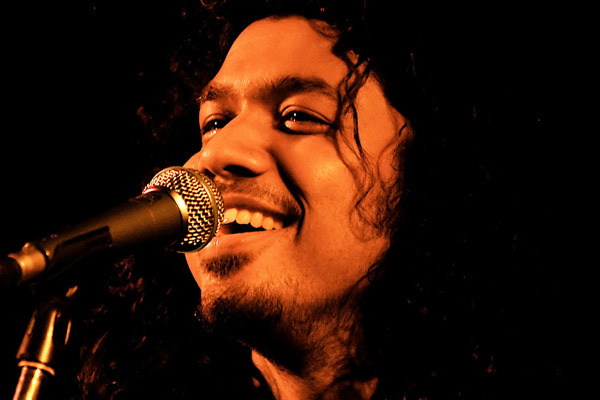 Papon is originally called Angaraag Mahanta. He is a music composer, singer, and plays multiple instruments. Papon is popular for his folk music. He has composed songs in Hindi and Assamese. He is born to popular musicians of the Assam region. He hit fame with the Coke Studio series. He has also produced the 4th season of Coke Studio in 2015. He has collaborated with many international artists of Asian descent. Karsh Kale, Nitin Sawhney, Bikram Ghosh, and many more musicians. He has won many awards for his albums and singing since the year 2011. He lives in Mumbai with his wife Shweta Mishra Mahanta. He has composed for popular Bollywood movies like Barfi, Dum Maro Dum, and more. He has performed at many international music festivals like the Jakarta International Java Jazz Festival, Oslo Music Festival, and the like. Papon is the name of his electronic fusion band. He also has a band called The East India Company. He covers the folk, jazz, acoustic, and electronic music genres. He has sung songs in many Indian languages like Tamil, Bengali, Marathi, Mishing, Punjabi, and Assamese. He plays music instruments like, tabla, piano, harmonium, acoustic guitar, and khol. He has been featured on the popular music shows like The Dewarists. Darbaan is sung by Papon for the 2015 Bollywood movie, ‘Bombay Velvet.’ It stars Ranbir Kapoor and Anushka Sharma. This is a slow song about the ways of the world with some philosophy attached to it. Papon has a dulcet voice and his intonation and tone of the song sets the serious template of the theme. This is a song from the album ‘The Story So Far.’It expresses the emotion between two people who love each other and there is a misunderstandings due to minor things. It has the rhythm of guitar played in a simple tune. This song is slow paced and can be enjoyed during a non-chalant errand. This song is from the movie, Dhanaak, directed by Nagesh Kukunoor. Papon and Vibha Saraf are the singers of this song. This is a positive song about a hope and starting something new and riding on the aspirations. It talks about listening to your heart and sing along the tides of life as one goes through. This is a private song done for the MTV music program, Coke Studio. This song has been composed and produced by Papon for the 3rd season of Coke Studio. It has beautiful lyrics etched into a melodious song. A romantic number with light instrumental background. It is a cusp of semi-classical urban music. This song is sung by Papon and Harshdeep Kaur for Coke Studio, MTV. It has Punjabi lyrics with a fusion of Assamese folk. Papon composed and produced this music. It has a traditional Assamese folk theme. It is lively and energetic song. Papon has been popular for his Assamese folk music even before he started his Bollywood journey. This is a traditional Assamese folk song that is sung by Papon, Dulal Manik, and Simantha Shekar. It is a fast paced song that has Assamese lyrics. It has been sung for MTV Coke Studio season 3. It has a theme of tea garden. It a song about non-chalant situations in every day life. This song is from the private album,’The Story So Far.’ It is a slow romantic number that can melt your heart. It has a sufi-qwaali feel to it. The tabla in the background score adds to the vintage tune of the song. It is a song where Jazz meets sufi meets Indian classical music. This is sung by Papon and Kalpana Patowary for MTV Coke Studio season 3. It has a mix of classical gharana music and pop funk. This song has a folk dance appeal to it. The lyrics are in traditional Rajasthani and Assamese. These two singers jamming together create a lively harmony. ‘Tauba’ is the song sung by Benny Dayal for Coke Studio. This is a composition by Papon. It has a flavor of African Funk. This is not a original soundtrack from a commercial movie. This is a solo for the music program Coke Studio featured on MTV in the year 2013. This has a 80’s Bollywood music appeal to it. Coke Studio presents Bollywood and solo numbers in acoustic, unplugged version. Not all songs are originally sung by the singer. A few numbers are his composition, a few are from Bollywood movies. ‘Titli’ is a slow number sung by Papon for the 2016 Bollywood movie, ‘Bollywood Diaries.’This song is about colors of life and what one has to go through to fulfill their dreams. The music is composed by Vipin Patwa. This song is a blend of old instruments and has a 70’s era appeal to it. Most of the Papon’s songs are slow numbers sung for Bollywood movies and solo private albums.